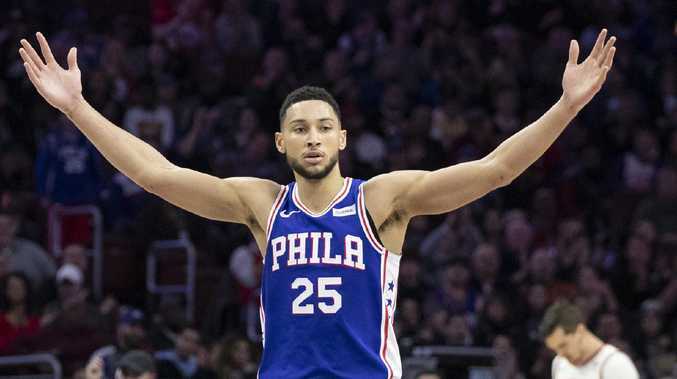 PHILADELPHIA 76ers star Ben Simmons produced a slice of magic but his hoodoo against the Toronto Raptors continued with a 113-102 loss on Thursday (AEDT). Simmons is known for his ability to dish off passes to put his teammates in the right place at the right time and he was on point early in the first quarter. Up 16-12, the 76ers looked to consolidate their early lead as Simmons worked down the court. The Aussie superstar took on the defence and threw a no-look, behind-the-back pass that found Jimmy Butler under the hoop for an easy two-points. Fans on social media went nuts over the play. Damn, that's a beautiful pass by Ben Simmons. The move gave Philadelphia fans hope they were in for a treat but it was not to be as the 76ers played catch-up for the rest of the game. A one-point deficit kept the 76ers in the contest but they couldn't overcome the Eastern Conference ladder leaders despite Jimmy Butler's season-high 38-point haul. The Raptors, led by Kawhi Leonard's 36 points, had all the answers for Philadelphia and ran away with the win. It continues a horrible record for the Sixers against Toronto during Simmons' career. In six matches against the Raptors, the Aussie star has been part of just one win. The 76ers, considered one of the Raptors' biggest threats in the Eastern Conference, have not won in Toronto for six years. Thursday's win takes the Raptors to a 21-5 record this season, while the 76ers still sit third in the Eastern Conference at 17-9. 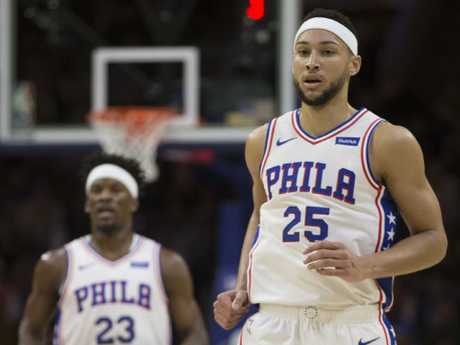 Simmons had just eight points but claimed 10 rebounds and 11 assists to fall just short of a triple double, while All-Star centre Joel Embiid tallied just 10 points and 12 rebounds with five assists. Some on social media took aim at the pair for not stepping up. Jimmy Butler had his best night of the season. Unfortunately for Simmons and Butler, the good luck that started with their new fashion statement didn't continue against Toronto. 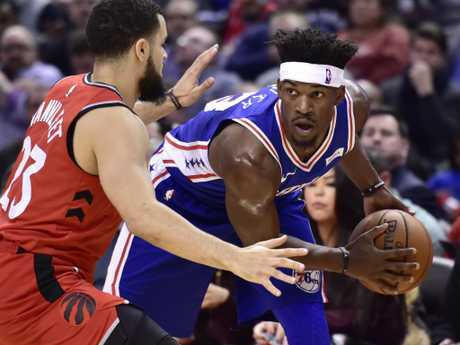 Both players wore headbands in the Sixers' win over Washington on Saturday and coach Brett Brown said the headwear signified a "bonding of defensive brothers". Brown said he asked Butler to take Simmons under his wing and the two are getting along fine after some early teething issues on the court when Butler was traded to Philly from the Minnesota Timberwolves. "So far it's been pretty easy," Simmons said about the Sixers' new life with Butler. "I figure it's just been everyone finding their spot and where they can be most effective on the court at times. "First two games (with Butler), everyone struggled to figure it out. Then the next five or six games I think I was averaging 19 (points), eight (rebounds) and nine (assists a game). "So, I mean, there's nothing (critics can) really say about that." Jimmy Butler and Ben Simmons have started an exclusive club.